Port Lincoln the likely thoroughfare for nuclear waste entering South Australia? Friends of the Earth, a conglomerate of independent and local groups vying for environmental sustainability, have visited the region to voice concerns over ongoing plans to have a nuclear waste dump at Kimba or Hawker, and the four ports named by the federal government as transport avenues for Australia’s nuclear waste. They say the lack of wider community consultation and the use of ports such as Port Lincoln lack logic. Mara Bonacci, Friends of the Earth nuclear waste campaigner, said ballots for consultation, now on hold after action from traditional landowners, were narrow in scope. Fellow campaigner Jim Green also voiced the same concerns. “The government was planning a ballot for Hawker and Kimba, but there was a Barngarla injunction and from the traditional landowners from Hawker,” he said. Ms Bonacci said the traditional landowners had lodged a formal complaint for racial discrimination and bad consultation. “It is a non-binding ballot, and very narrow in scope,” she said. She also said towns along transport routes and around the four ports named should also be consulted, which would include Port Pirie, Whyalla, a proposed port on the east coast of the Eyre Peninsula, and Port Lincoln. “It’s Australia’s waste, it’s a national issue, the burden of responsibility shouldn’t fall on two small regional communities,” she said. 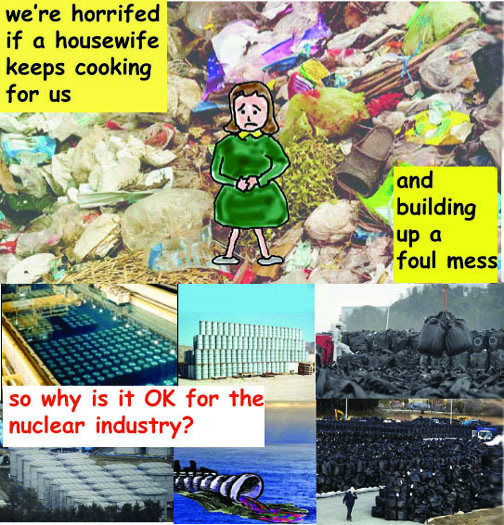 Both Mr Green and Ms Bonacci instead advocate for the continuing interim storing of intermediate-level nuclear waste to remain in Lucas Heights in New South Wales, and the continuing storage of low-level waste on defence land. As Kimba and Hawker are proposed as above-ground, non-permanent (up to 100 years) storage sites of nuclear waste, Friends of the Earth are advocating for a permanent solution to be discussed while capacity is still viable at Lucas Heights. “Move it once, not twice,” said Ms Bonacci. Mr Green said there was “no logic” to moving the waste to South Australia, and the government has no permanent solution for the long-term storage of low-level and intermediate waste. “There’s no reason for (the government) to drive it,” he said. Friends of the Earth nuclear waste campaigners have travelled to Port Pirie, Port Augusta, Whyalla and Port Lincoln to meet with councils, Grey Candidates, trade unions and traditional owners to raise their issues. “It’s divisive and unnecessarily expensive,” said Mr Green. Mayor Brad Flaherty met with the advocates this week and said it was the first he had heard of the Port Lincoln port being named as a potential thoroughfare. “I think it would be an early consultancy report, I believe that to be the case…it’s the first I’ve heard of it and no one has contacted me,” he said. He said he believed if ports were needed for transportation, there would be better options that were not near populated areas, allowing Port Lincoln to remain an efficient grain port. 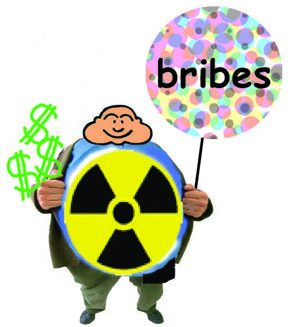 Incompetent management of CSIRO’s nuclear waste – used by ARPANSA to promote South Australian Hawker waste dump plan? This article looks like one of those softening up articles that ANSTO and ARPANSA like to put out – to persuade the Australian public that a radioactive waste dump is needed, in the beautiful Flinders Ranges. 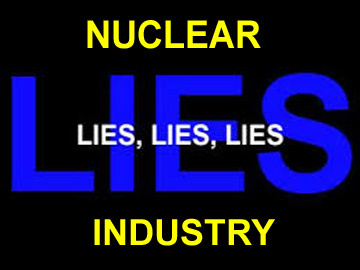 It’s time that we all really woke up to the fact that the nuclear industry, its ignorant lobbyists and craven politicians, are incompetent simpletons regarding the global nuclear mess, and should not be trusted with their decisions that are aimed at furthering this toxic industry. CSIRO flagged a $29.7 million budget provision for “remediation works” at a remote location in its latest annual report. Fairfax Media can reveal the work will take place at a CSIRO facility located on Department of Defence land near Woomera, South Australia. The Woomera facility is currently one of Australia’s largest storage sites for low and intermediate-level radioactive waste. A damning report of the Woomera facility was issued by the Australian Radiation Protection and Nuclear Safety Agency (ARPANSA) after an inspection in April last year. “Evidence was sighted that indicates the drums are now beginning to deteriorate rapidly,” read the report, seen by Fairfax Media. 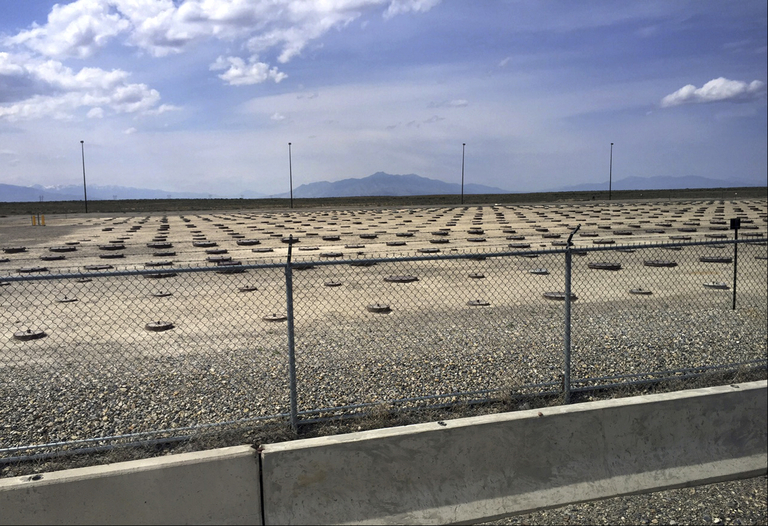 “Significant rust on a number of the drums, deterioration of the plastic drum-liners and crushing of some stacked drums was observed.” Tests confirmed the presence of radioactive isotopes at one location and inspectors said there was a possibility the drums were leaking. “CSIRO currently has a radioactive waste store located on defence land at Woomera, South Australia. The store currently has 9,725 drums of long-lived waste,” he said….. The Australian govnt and ANSTO classify spent nuclear fuel from Lucas Heights as intermediate-level nuclear waste. 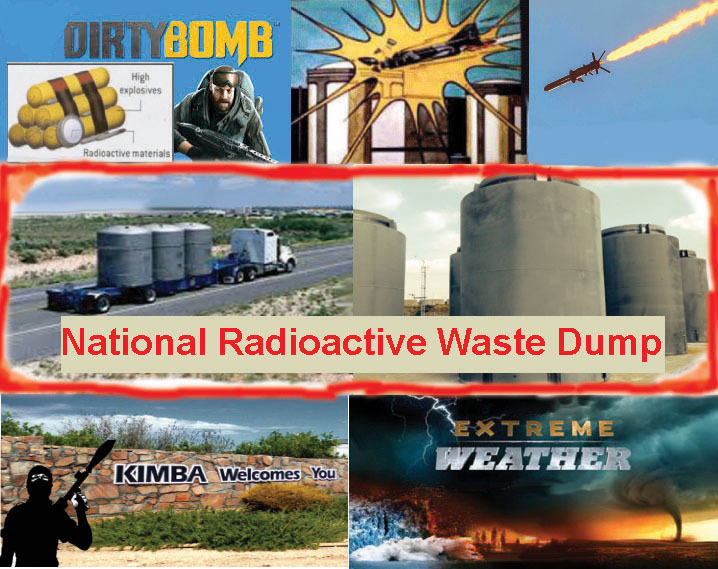 Kim Mavromatis Fight To Stop Nuclear Waste Dump In Flinders Ranges SA, 31 Mar 19, Everywhere in the world, spent nuclear fuel is classified as high-level nuclear waste and it will remain radioactive for eternity. After 30 yrs, spent nuclear fuel is still 10,000 times more radioactive than uranium ore and will take 10 million years to reduce to the same radioactivity as uranium ore (Canadian Nuclear Authority). Yet the Australian govnt and ANSTO classify spent nuclear fuel from Lucas Heights as intermediate-level nuclear waste. Guess when this was written (answer at the end)…..and also is a poignant reminder of the role Nick Minchin played in all of this! “Claims that a low-level radioactive waste dump will be the thin edge of the wedge are not “scare-mongering”, as Nick Minchin has repeatedly claimed. Numerous government reports make it clear that the proposed low-level dump could be followed by an above-ground store for long lived, intermediate-level radioactive wastes (including wastes from thereprocessing of spent fuel from the nuclear reactor in the Sydney suburb of Lucas Heights). In addition, the federal government plans to dismantle nuclear reactors at Lucas Heights and dump them in SA. The Australian Nuclear Science and Technology Organisation (ANSTO), which operates the Lucas Heights reactor, has said that if overseas reprocessing contracts fall through, spent fuel could be sent to SA for “extended interim storage”. In the event of reprocessing contracts falling through, the federal government might also attempt to establish a spent fuel reprocessing/conditioning plant in SA. If the federal government succeeds in establishing a dump in SA, then Pangea Resources, the company which wants to dump high-level waste in Australia, can be expected to try its luck in SA. James Voss, president of Pangea Resources, visited Australia in 1998. Voss offered to operate the proposed low-level waste dump. Later that year, a leaked corporate video revealed that Pangea, with funding from British Nuclear Fuels Limited, was scheming to dump 75,000 tonnes of high-level radioactive waste in Australia. In 1999, Minchin apologised in the Senate for falsely claiming that no federal minister had met with Pangea.“…..
“The federal government asserts that the plan for a centralised waste dump and store are driven by scientific and safety considerations. The real agenda is political: moving radioactive waste away from Lucas Heights to reduce local opposition to the planned new reactor. The proposed new reactor would generate another 1600 fuel rods, and according to ANSTO documents, annual generation of radioactive waste would increase up to 12-fold depending on the waste category. Minchin’s mantra is that South Australians should accept the waste because they will benefit from medical radioisotopes produced. 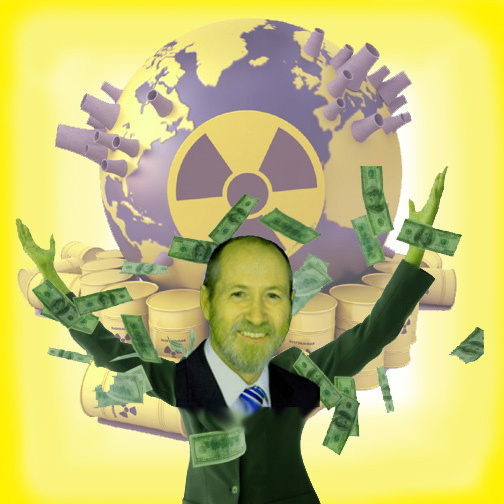 However, the lie that a new reactor is needed for medical isotope production has been exposed from an unlikely source — Dr Barry Elison, president of the Australian and New Zealand Association of Physicians in Nuclear Medicine. Why is this writer accepting the nuclear lobby line that ibtermediate level wastes would be stored at Kimba or wherever for only “a few decades” ? Does she not know that there is no plan for final disposal of the wastes, and that they are most likely to be stuck at Kimba or wherever for hundreds of years? Will Australia finally get a national nuclear waste facility? ABC, 28 Mar 19, 7.30 , By Angelique Donnellan For 40 years Australia has sought to centralise its nuclear waste, but the question of where to put it remains unanswered because of bitter division. 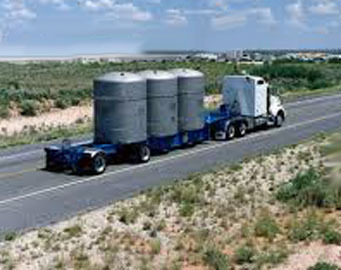 n 2007, a property called Mukaty Station in the Northern Territory was put forward to host the nuclear waste facility. The plan was abandoned, again because of legal action, this time by the area’s traditional owners. The current proposal has three sites in regional South Australia shortlisted — two in Kimba, five hours north-west of Adelaide, and one in Hawker, near the Flinders Ranges. Landholder Jeff Baldock has volunteered a portion of his property in Kimba for the proposed facility, which would store low-level nuclear waste for up to 400 years, and intermediate-level waste for a few decades before that is moved to another location. “Kimba is no different to any other small rural community where we have a shrinking population,” Mr Baldock said. “It’s just a good opportunity for us to find another industry which doesn’t rely on agriculture. But Kimba resident Barry Wakelin is not so sure. 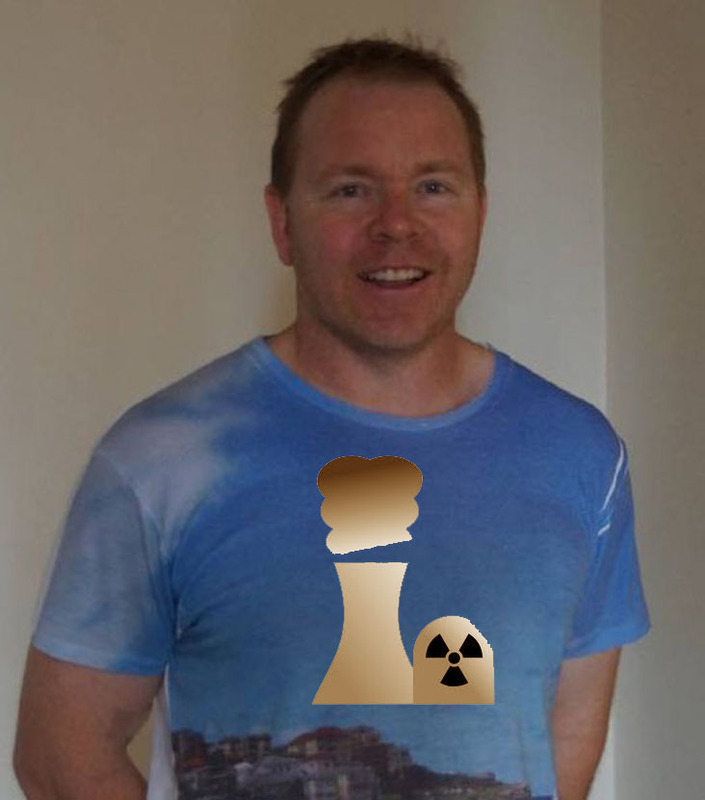 Despite being a federal Liberal MP when the Howard government pushed for a national nuclear waste facility in the early 2000s, Mr Wakelin now opposes one near his town. And is it a waste facility or a dump? Even what it is called has caused a rift. Local business owner and teacher Meagan Lienert said she expected it to be a well managed “high-class, world-class facility” and “very different to a dump”. “What the hell are they talking about? Everyone knows what a nuclear dump is. It’s rubbish,” Mr Wakelin said. The Adnyamathanha Traditional Lands Association is one group taking legal action. They are the traditional owners of land around Hawker. Regina McKenzie said her people had been unfairly excluded from a community vote on the dump and claimed preparatory work at the site had desecrated a sacred women’s area. “I know they need a site, but not here. Don’t impact our sites, don’t impact our culture, don’t impact us,” Ms McKenzie said. The issue is further complicated because some members of the Adnyamathanha support the facility, including Regina’s brother, Malcolm McKenzie. “I’m supporting this because our culture can co-exist with economic development,” Mr McKenzie said. 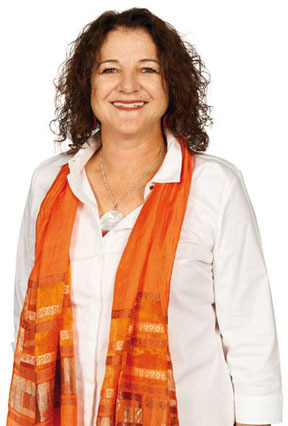 Adnyamathanha woman Angela Stuart backed the facility because she wanted more opportunities for young Aboriginal people. “We need a change. I’m sick of seeing young people drinking and wasting their lives away on alcohol and drugs,” she said. The Native Title holders around Kimba, the Barngarla people, are taking legal action. It is unclear when the Federal Court will hand down its judgement in that case. KAZZI JAI·FRIDAY, MARCH 15, 2019 This interview was transcribed as carefully as possible, but is still not exactly accurate word for word. The transcriber believes that is a faithful account of this interview. Noel Wauchope Matt Canavan says: “the problem is that we are running out of space there for 40 years and we have been looking for a new site.” This is simply not true. I cannot right now, find the actual dimensions of the Lucas Heights nuclear site, but it’s huge. Plenty of room for more waste canisters.